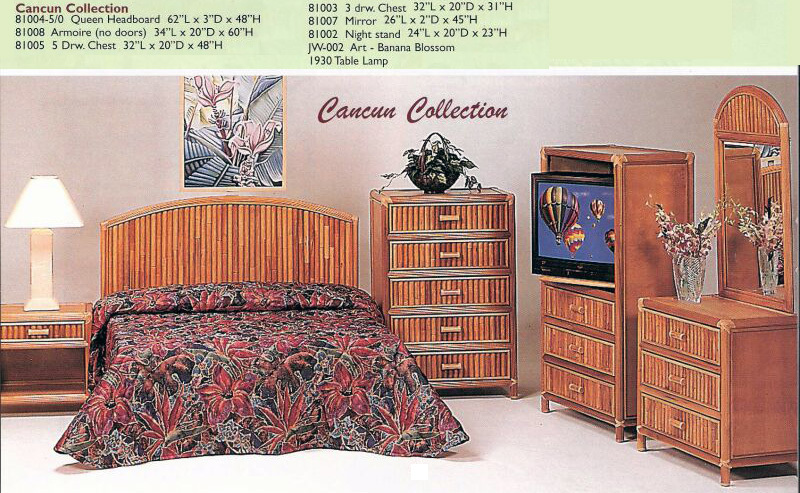 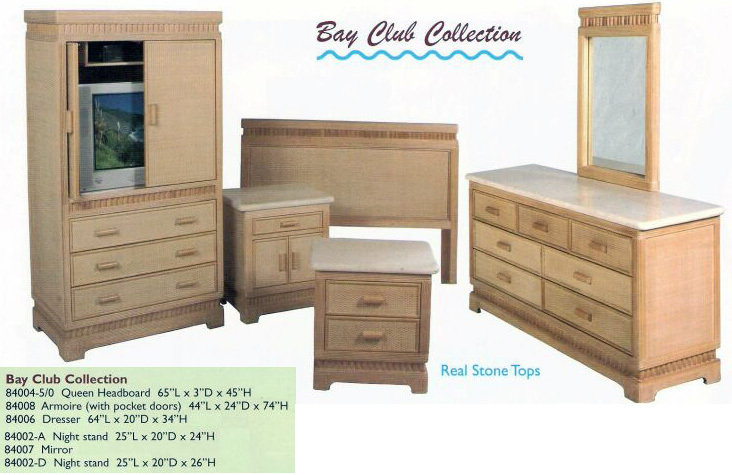 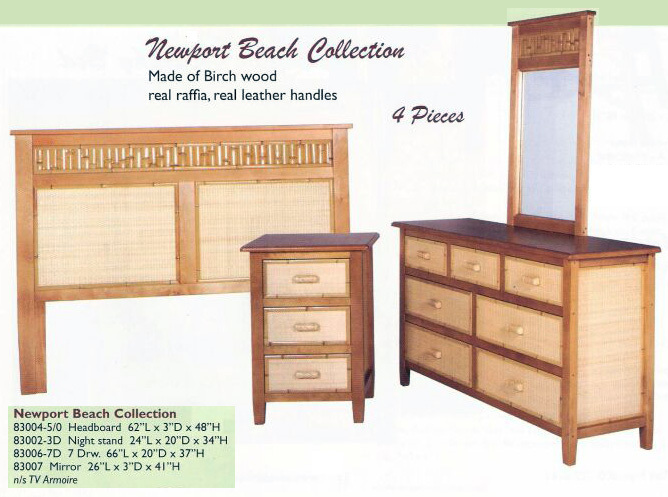 All New All Wood 8 piece Bedroom Set, includes Queen Bed, Headboard, 2 Night Stands, 2 Table Lamps, Six Drawer Dresser with Mirror. 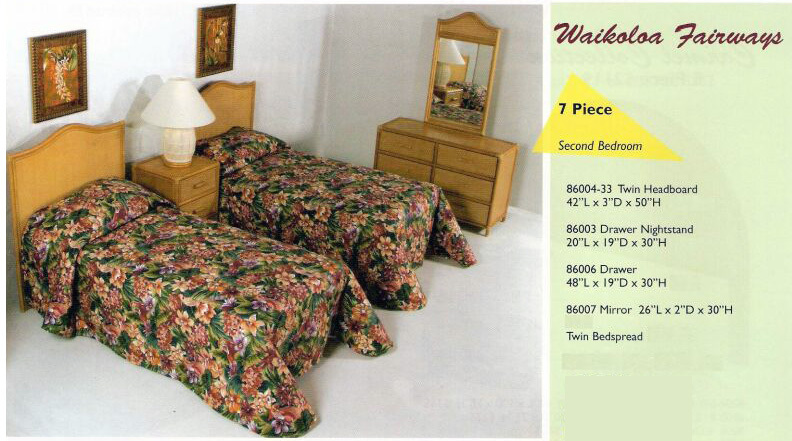 Each item can be sold separately. 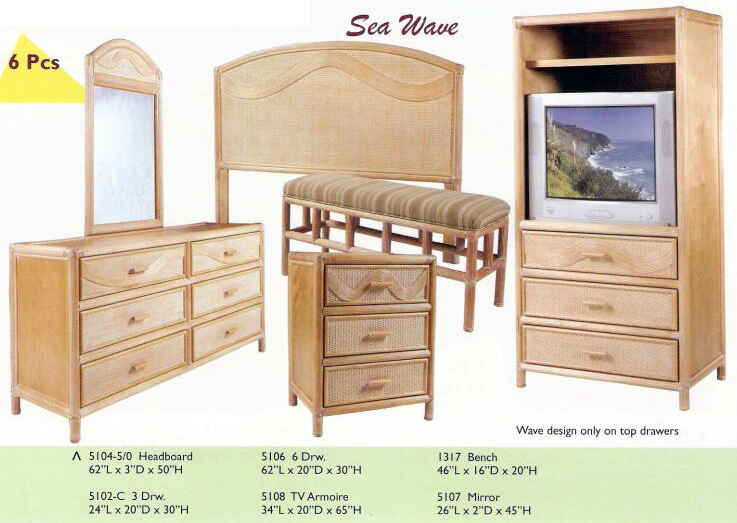 Visit our warehouse to see what’s new! 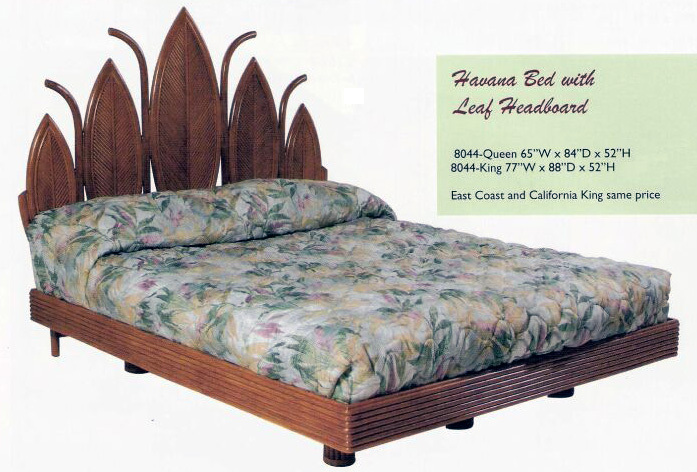 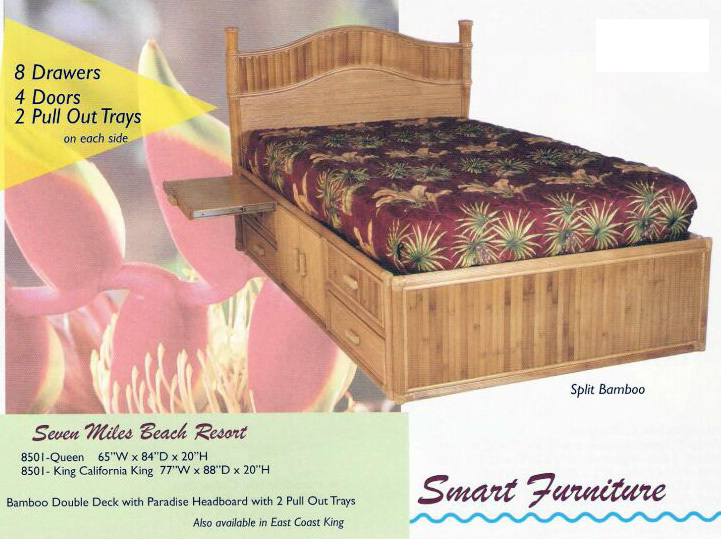 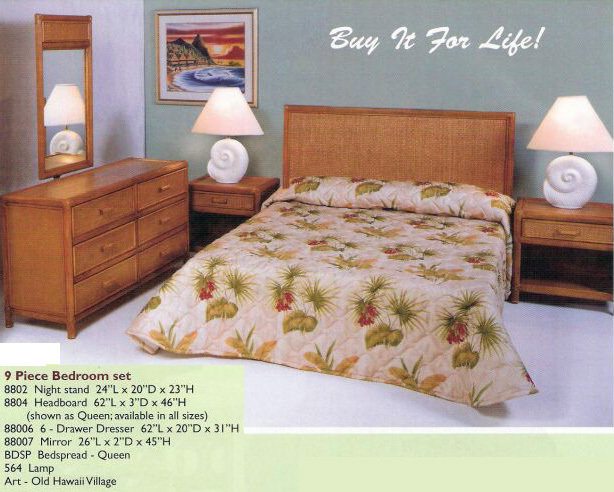 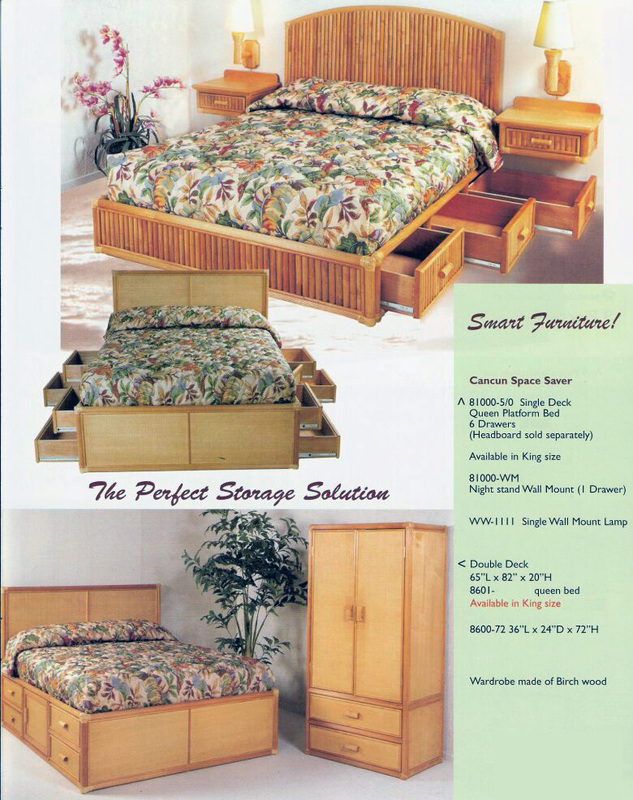 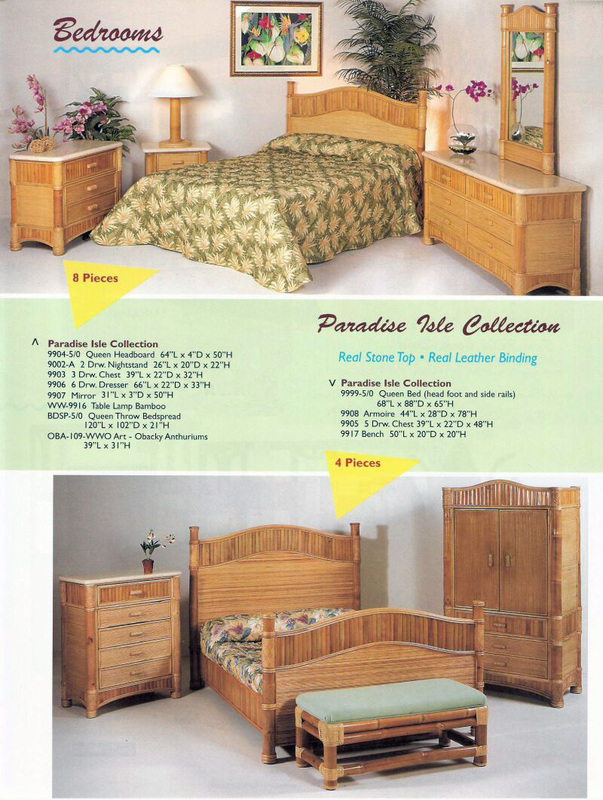 Many different tropical Kauai styles to choose from.